Dubai is a new level of contemporary luxury, style, design and cuisine for leisure and business travelers. 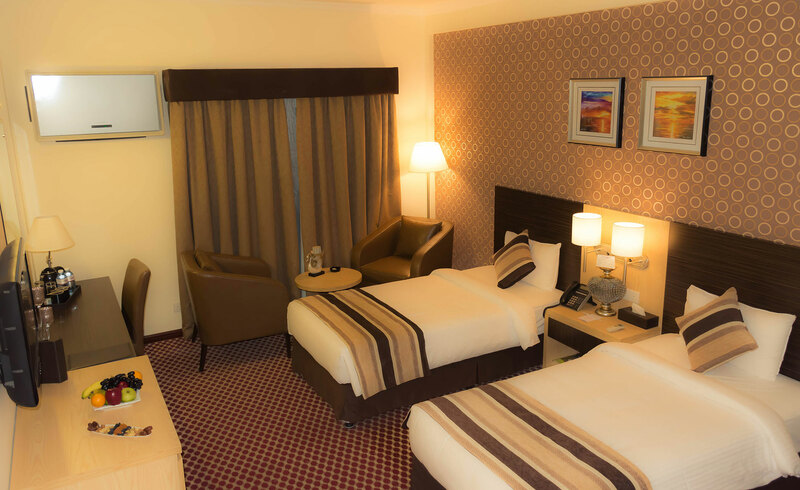 Set amid Dubai‘s exclusive areas and rich cultural attractions, the Fortune Karama Hotel by Fortune Group, located in Karama city ( Bur Dubai ) just 15 minutes from International airport. As Karama ( ADCB ) Metro station a minute away which puts you right in the center of Shopper’s paradise, Restaurant district, nightlife to explore & easy connectivity to all major corporate as well as leisure destinations. 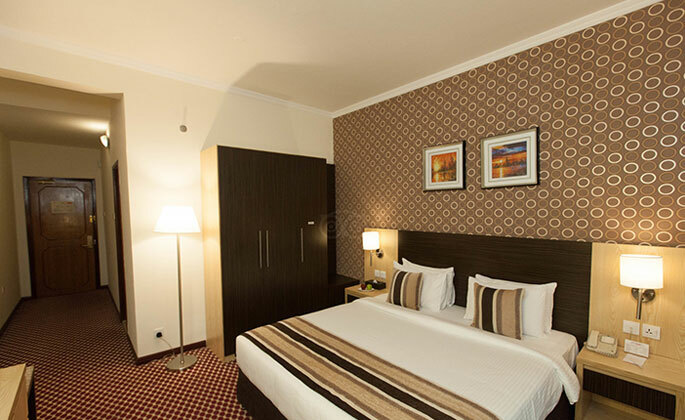 We offer both suits & deluxe contemporary comfort in 130 rooms, along with balcony has overview of swimming pool, and the Hotel is connected to the city’s major attractions. Alternatively, a visit to the world’s largest shopping mall, Dubai Mall, is just a short taxi ride away. The Dubai International Financial Centre, World Trade Centre, Burj Khalifa are close by; with Dubai Creek and the city‘s Heritage and Diving Village, Gold Souq, Spice Market, Media city, Internet city are within 3.5 km vicinity. 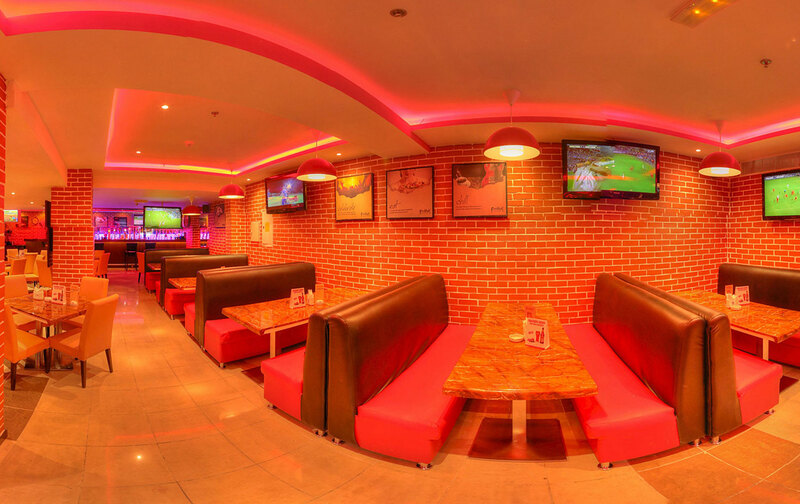 The Hotel’s Dining and entertainment options includes 24 Hours Room Service, “Freddy’s Sports lounge and Café, “ Utsav” Multi-cuisine Family Restaurant, Pub & Night clubs offering renowned branded beverages & International delicacies in cuisine from worldwide. 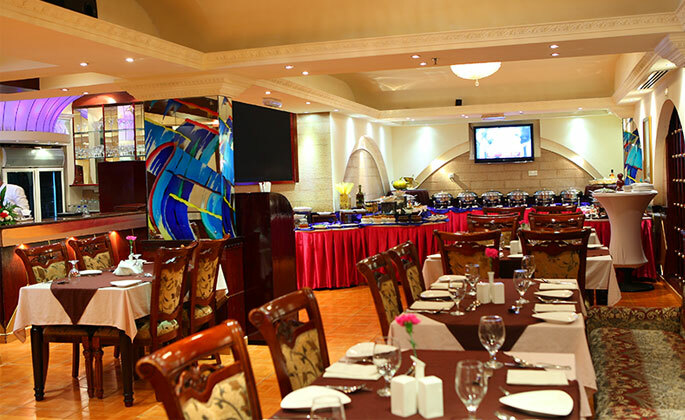 Hotel offers Dining and entertainment options includes 24 Hours Room Service, Sports lounge and Café, Multi-cuisine Family Restaurant, Pub & Night clubs serving renowned branded beverages & International delicacies in cuisine from worldwide. Presenting an enticing variety of delicacies from India along with Multi-cuisine delicacies redefines luxury dining for its guests. The mains are a little more substantial to experience a variety of flavours, textures and live cooking styles in one sitting. 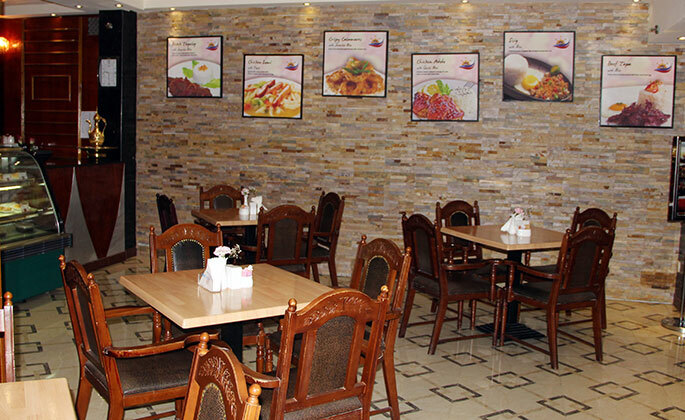 Here is something about the contemporary cuisine that would keep anyone coming back for more. The Freddy’s in Dubai resonates to the vibrant beat of London. Located on the Ground level of the hotel, one can enjoy a wide range of internationally sourced wines and beers besides an Intercontinental food menu. 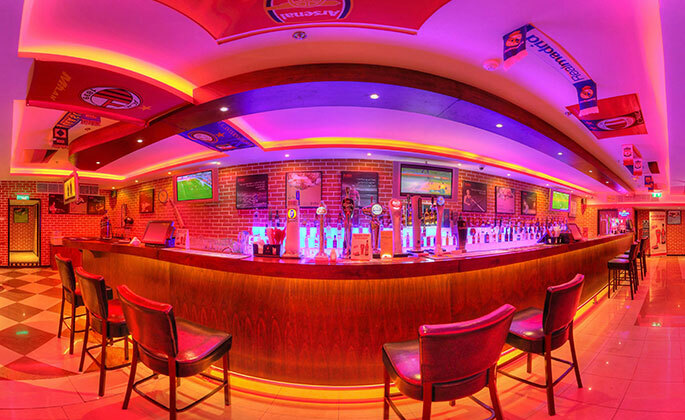 Popular for the multitude of big-screen and flat-screen TVs broadcasting year-round LIVE sporting events, This sports bar and Café serves up casual fare for good times. Complete with a pool table for a little action on the floor. Foos ball table and various touch screen video games adds up to the entertainment. No matter where in the world you come from, you’ll feel at home here. It is the ultimate place to be to kick back and relax. Mixing up a tantalizing selection of coffees regular dishes cooked the regular way as well as an elaborate menu that is carefully planned and screened by a team of expert nutritionist, endocrinologists and chefs are offered in an all-day dining at our 24 hour Coffee Shop. 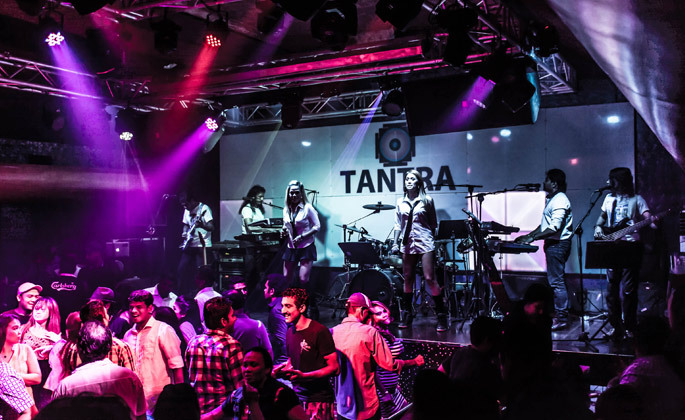 A Discotheque has playing live band form 9 pm onwards along with DJ mixing foot tapping tunes till wee hours. 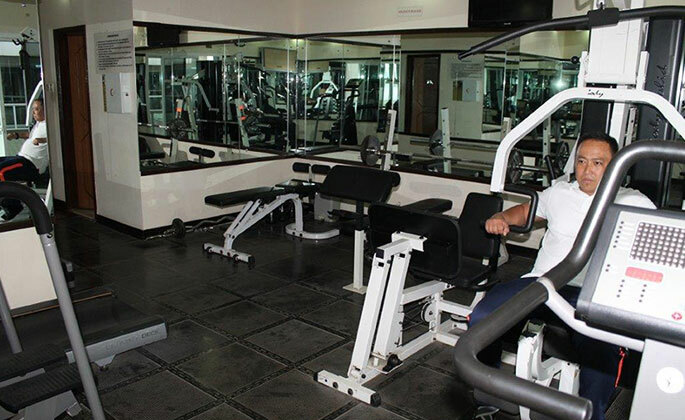 If you’re interested in fitness, you’ll find that we have all the weights and equipment you need for a rigorous training session, and qualified instructor to help you use them. We offer a host of other facilities for relaxation and recreation that will make you want to linger, long after your session is done. Hotel also features a SPA with 6 treatment rooms. 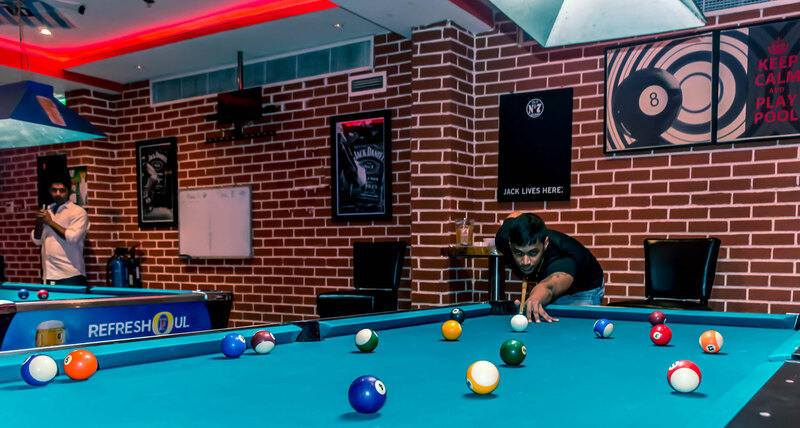 Getting down to business – or pleasure – is easier than you could imagine at Fortune Karama Hotel. Our flexible hotel spaces are fully equipped for staging every type of event, from small executive meetings to large conferences, intimate social gatherings to extravagant celebrations. Al Karama, or simply Karama (Arabic: الكرامة‎‎, literally meaning dignity), is a residential district of Dubai close to Dubai Creek, World Trade Centre and part of the old lively area of the city. It is outwardly distinctive due to the regularity of its low-rise residential buildings. The area, which was planned on a tight grid system, is home to thousands of people even though it is only two square kilometers in size. Al Karama is the populous residential area in Dubai. 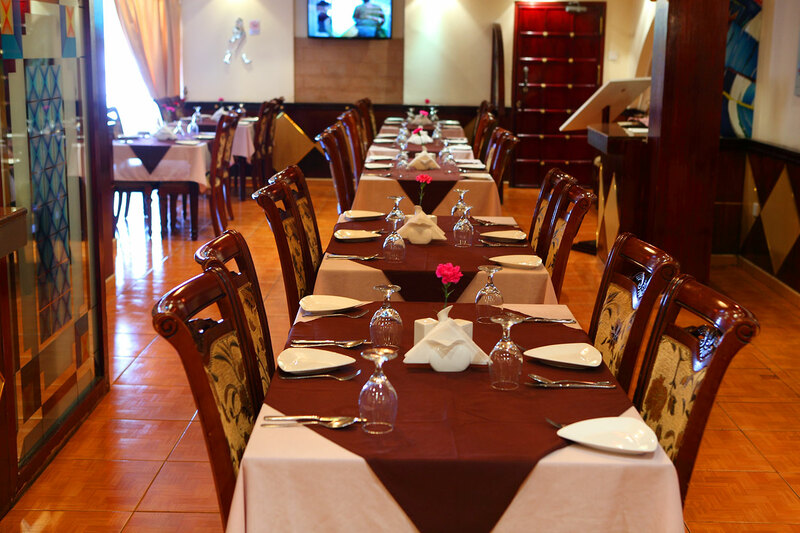 Al Karama is also served by a metro station which is located in the middle of the Shaikh Khalifa Bin Zayed Street, next to Burjuman Shopping Mall. It is an elevated station with access on both sides of the road and air-conditioned pedestrian bridges. The center of Karama is Karama Centre which is a residential building with Strret Shopping Kiosks, located right near the mosque. Karama is the home of Zabeel Park, the biggest park with lakes, children amusement & Dolphinarium. Many children and adults of all ages come here for leisurely activities during weekends. Widespread sale of counterfeit goods are quite common in this south side of the creek. Check in time begins at 1400 hrs and Check out time is 1200 hrs. Early Check in request is subject to availability and late check-out charges will apply for guests occupying rooms after 1200 hrs subject to half day charges while after 1800hrs will be full one (1) day charges applicable. To reserve a room, there must be at least one (1) adult present in the room 18 years of age or older. 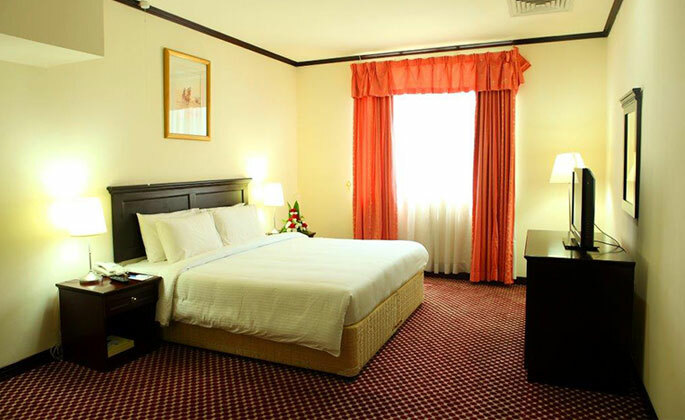 The hotel room rates are inclusive of 10% Municipality fees and 10% Service charge. However, guest has to pay a “Tourism Dirham Fee” of AED 10/- per room per night as per Dubai’s Executive Council Resolution N (2) of 2014. 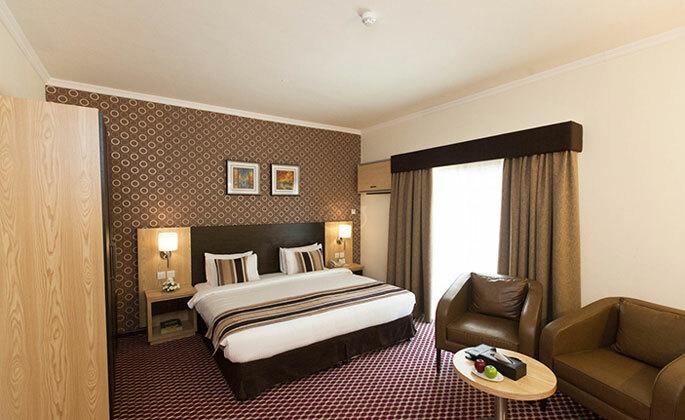 Rooms must be cancelled 24 hours prior to the arrival date to avoid cancellation penalties. If you wish to cancel your reservation within the cancel policy, a one (1) night penalty including taxes/fees will be applied. Group and conference reservations are subject to the cancellation and deposit policies outlined at the time of booking and may vary from standard hotel policies. 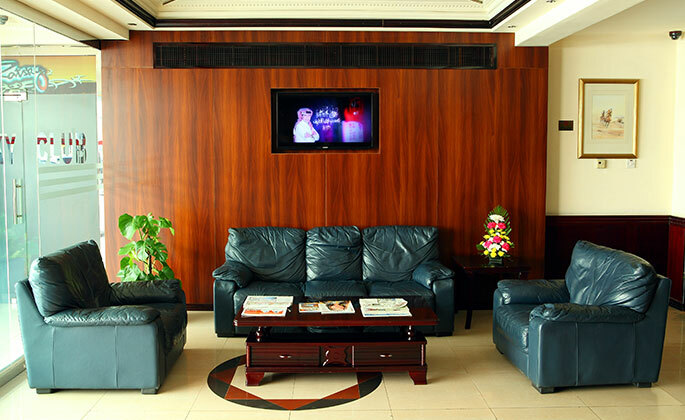 Fortune Karama hotel accepts all major credit cards apart from cash. In the case that a guest’s room is to be paid by another party’s credit card that will not be attending the hotel. A pre-authorization form is required to be filled out by the credit card holder allowing Fortune Karama Hotel to use the credit card for the specified charges. The hotel reservation executive will be able to email or fax the form to be filled out at your request. The hotel only accepts original passport and Emirates ID for the check-in process, as well as being necessity to process a credit card. The official language of the UAE is Arabic. However, English is the most common, followed by Hindi and Farsi. In a city where UAE nationals make up approximately 17% of the population; the expatriates are in fact the majority, most of which are from India & the Subcontinent, the Philippines and Iran. It is therefore quite common to frequently come across people speaking Urdu, Tagalog, Hindi, Malayalam, Russian, Spanish and a host of other languages. The monetary unit in Dubai and the rest of the UAE is the Dirham (AED or Dhs), which is divided into 100 fils. The dirham is pegged to the US dollar at $1=Dh 3.67. Most shopping malls, tourist destinations and hotels have ATM machines and also accept certain foreign currencies. Credit cards are accepted in shops, restaurants and hotels. Dubai has a sub-tropical climate with temperatures as low as 10 degrees Celsius in winter and rising to above 40 degrees Celsius in summer. The hottest months are between June and September, when temperatures can soar to 45°C and more during the day. In addition, humidity levels are very high. The city enjoys blue skies and sunshine all year round.